If you’ve been thinking about taking advantage of our Techni-Pak packing solutions, but like a little bit more inside information about these options, check out some of our most frequently asked questions and answers below! Is the Plastic Film used in shrink wrapping and bundling recyclable and environment friendly? Absolutely all of the plastic film material that we use during the shrink wrapping and packing process is 100% recyclable and as environmentally friendly as humanly possible. This allows you to take advantage of these professional services – and professional materials – without having to worry about creating a negative footprint on the environment. My products are delicate items. Is film just as strong as corrugated containers for storage? The shrink wrapping film that we offer is incredibly strong and durable, giving your products – and especially your delicate merchandise – as solid a layer of protection and safety as reasonably possible. 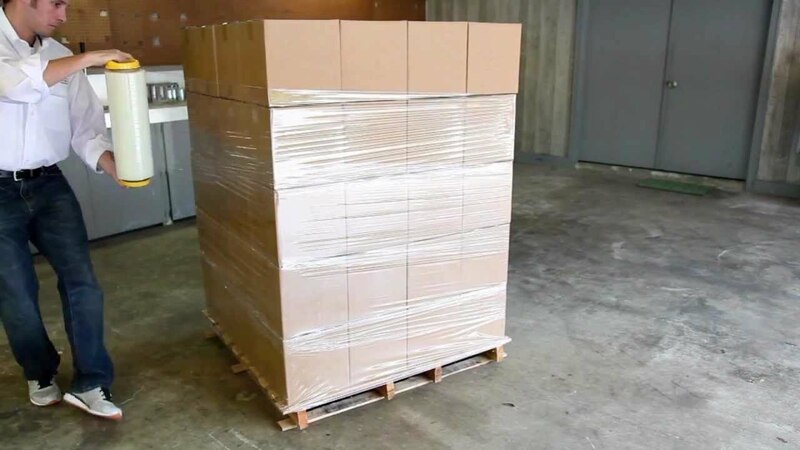 You should have absolutely no trouble whatsoever trusting in the security of the shrink wrapping solutions we offer! Why are corrugated containers preferred over film? People use what they know works as opposed to branching out into more advanced solutions. Is shrink wrapping equipment expensive to run and maintain? The shrink wrapping equipment that we use at our facilities are heavy-duty pieces of equipment run by skilled operators, and required a considerable investment in capital initially. However, in the long run, these pieces of equipment get cheaper and cheaper to operate each and every day that they “show up for work” – and aren’t at all that expensive to maintain. Is film difficult to open? Unlike bubble wrap or blister packing, you aren’t going to have a nightmare time trying to get shrink wrap open. You – or your end user – will be able to quickly and safely cut through the shrink wrap without damaging themselves or the product along the way. Why is primary packaging complicated? There are a significant amount of challenges that need to be overcome during the primary packaging process, not the least of which is the importance of custom “fine tuning” the universal shrink wrap and packing equipment to meet the parameters of specific projects. Thankfully though, the Techni-Pak system is nimble enough and efficient unknown to handle this kind of system quite effortlessly. You won’t have anything to worry about! My Product is Currently Packaged in a Bag or Pouch – How should I package my product which is currently in a bag or pouch? Our repackaging and “reworks” selection of services is quite extensive, and provides each and every one of our clients the opportunity to have their already prepackaged (in bags, pouches, or boxes) repackaged and reworked to the parameters that you outline. Again, the flexibility and nimbleness of our system gives you the opportunity to take advantage of the services without having to incur dramatic repackaging costs. Does the final package require Labeling, Codes or Printed Film? We offer full labeling capabilities that give you the opportunity to leave labels, codes, or printed film off of your prepackaged items and instead hand us with the responsibility of doing that for you. Again, we’ll work with you side-by-side to make sure that you get the results you’re looking for, and it’s one of the many services that we are happy to offer here at Techni-Pak!